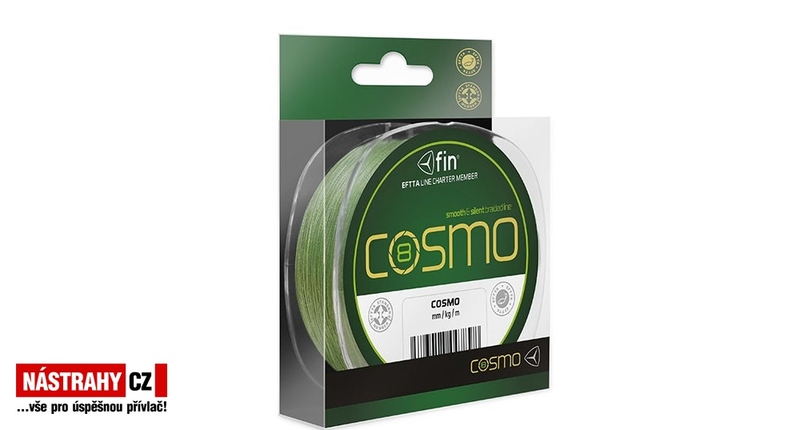 FIN COSMO is absolutely round line which is braided from 8 extremely soft micro-fibres. The line is extraordinary due to its way of dense braiding in 1 cm of line which apart from round diameter guarantees its smooth surface with a high resistance towards any damage with zero elasticity. Even the tiniest bite is immediately taken from the lure to the fishing rod which allows faster reaction compared to monofilaments. The line is additionally coated which means that line absorbs less water and prevents from uncomfortable falling the line of the reel´s spool. Lower surface friction between the line and guides also help you to longer casts and lowers its noisiness.